Hey everyone! I'm not going to repeat myself with the details about Black Dahlia Lacquer, as I covered that yesterday, instead I'm going to get straight into the swatches of the glitters and shimmers. Basket of Gold - If you ground me up and turned me into a bottle of nail polish, this is what I would be, a basket of gold. 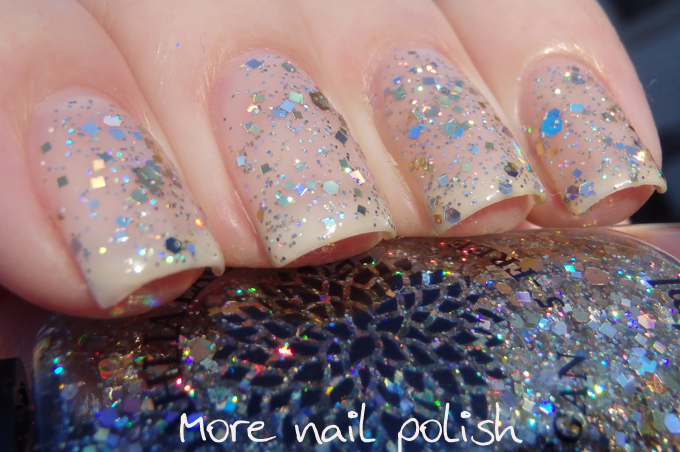 This is a multi-dimensional full coverage gold glitter - but it's also got silver glitters in there so it's a nice cool toned gold, with a mega serving of holo! I decided to wear this as one thin coat of a milky sheer base, OPI Don't touch my tutu. 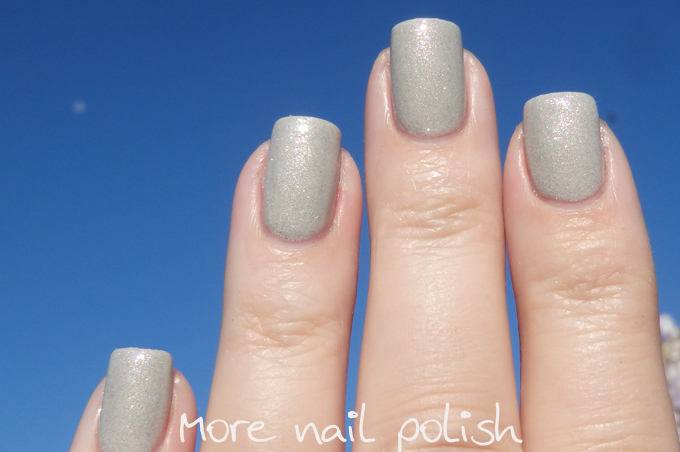 Lily of the Valley - a light gray shimmer with taupe and white flakies and gold glass flecks. I love this gray shade, it's very chic and edgy. This is two thin coats with Seche Vite top coat. 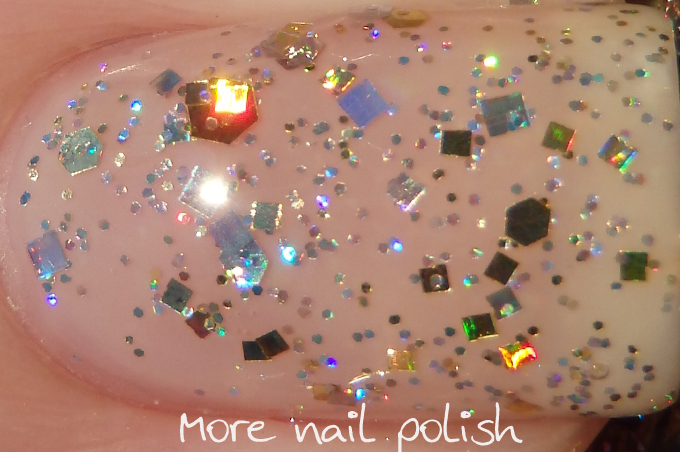 Olaf's Snowflowers - a white crelly base filled with various sizes of gold and silver holographic glitters. This built up easily and only needed two coats for full opacity. This is two coats with Seche Vite top coat. The gold glitters in this remind me of this comment from Olaf about winter "I'm thinking like maybe some crimson, chartreuse. How about yellow? No, not yellow. Yellow and snow? Brrrr...no go!" Olaf's Snowflowers is my favorite! It's so darn pretty and I just love the name too.